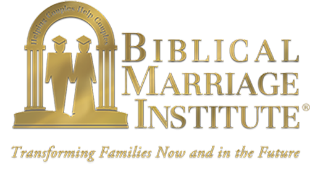 Founded in 2009 by Alonza and Vanessa Jones, Biblical Marriage Institute (BMI) was birthed out of a desire to see biblical marriage restored and upheld as the standard for all marriages. BMI began as a "marriage mentor" equipping ministry. Properly trained in the knowledge and understanding of what a biblical marriage looks like, godly men and women learned how to assist other couples to develop the values, attitudes, and skills necessary to experience marital success. 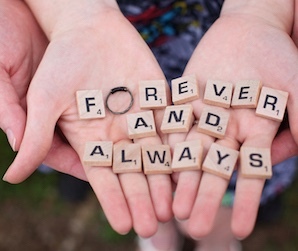 Today, in addition to mentor training, BMI provides a full array of marriage education services. Because most marriages begin in the church (or a religious context), BMI works closely with local churches, Christian schools, and like-minded individuals, by providing prevention-oriented marriage education, training, and community awareness. The mission of BMI is to "train and equip the Church to model, teach, and advance biblical marriage throughout the world." Alonza and Vanessa Jones have been uniquely equipped through the providence of God to lead other Believers in building and maintaining godly families. They are sought-after speakers for men's and women's conferences, marriage retreats, seminars, and workshops. The Joneses have also led workshops on marriage and family development for national and regional organizations. Alonza is the President of BMI. He holds a Bachelor of Arts Degree in Business Administration from Huntingdon College and a Master of Arts Degree in Biblical Counseling from Birmingham Theological Seminary. He is an adjunct seminary professor and has served as an elder and Bible teacher in their church. Vanessa is a Bible teacher and has training in biblical counseling. She also puts her extensive experience in executive-level administration to good use as Vice President of BMI. The Joneses have been happily married for more than 37 years. They are the parents of three wonderful daughters. Most of their married life has been spent investing in others and focusing on marital preservation. More than any of these things, they are committed Christ-followers. FIX IT BEFORE IT BREAKS! BMI takes a prevention-oriented approach to ministry. Using material developed in-house, we train "mentor couples" on how to come alongside less experienced couples. We also teach teens and adult singles how to 1)avoid practices that lead to failed relationships and 2)develop godly, marriage-able qualities for future success in marriage. The goal is to save marriages before they begin. Additionally, BMI conducts classes for senior adult couples who desire to keep their marriages strong well into their golden years.